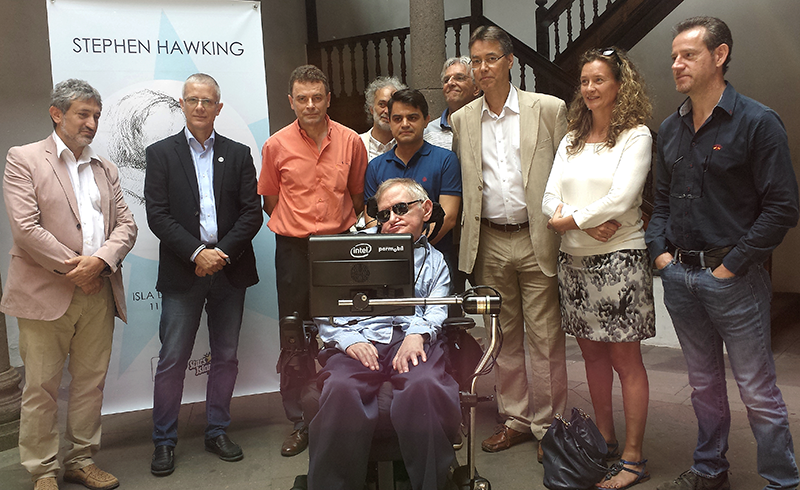 Stephen Hawking visited La Palma on 11th June. 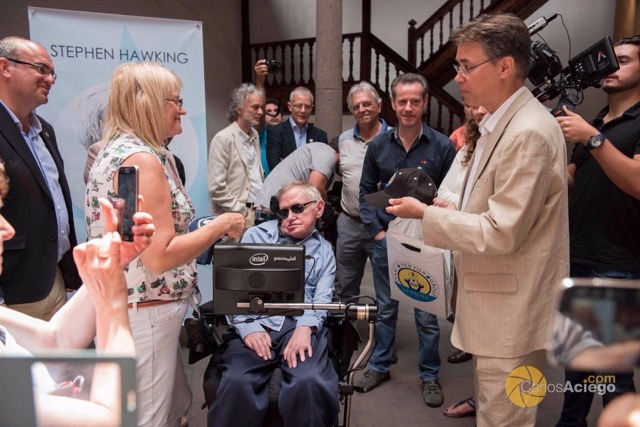 He was honoured with the first star of the recently inaugurated "Paseo de las Estrellas de la Ciencia" ("Walk of the Science Stars"), to be placed on the sea front of Santa Cruz de La Palma, the capital of the island of La Palma island. 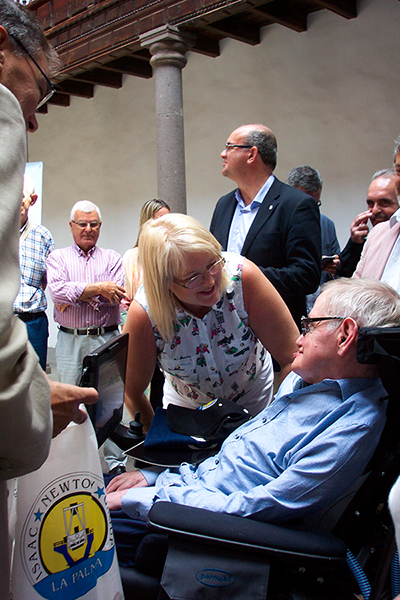 During the ceremony (see accompanying photos) the ING Director, Marc Balcells, presented Stephen Hawking with souvenirs from the Isaac Newton Group of Telescopes. 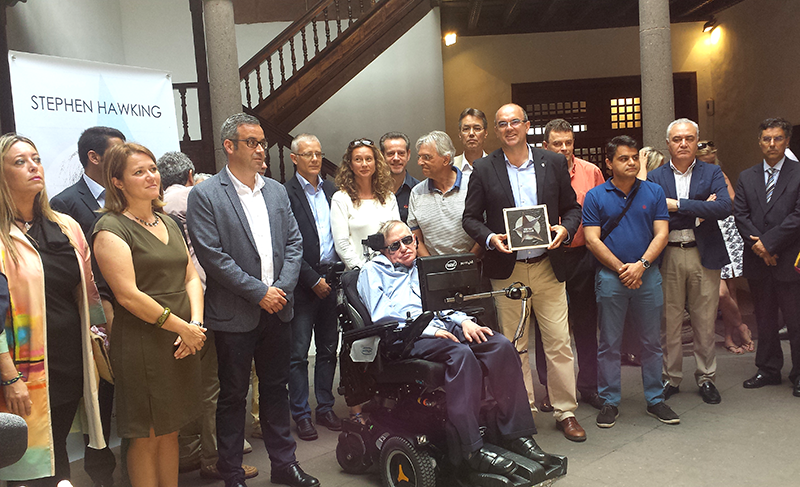 The event was attended by the President of the Cabildo de La Palma (La Palma Government), the Mayor of Santa Cruz de La Palma, other local-authority figures, and representatives of the Roque de Los Muchachos Observatory. 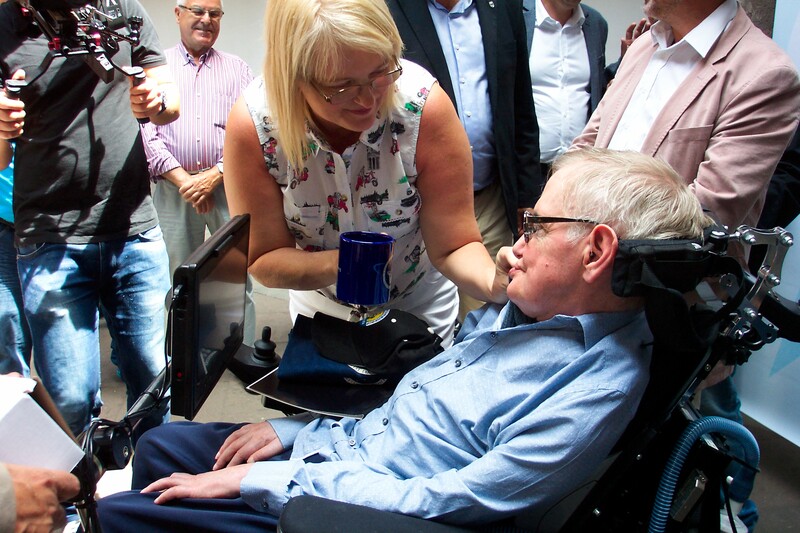 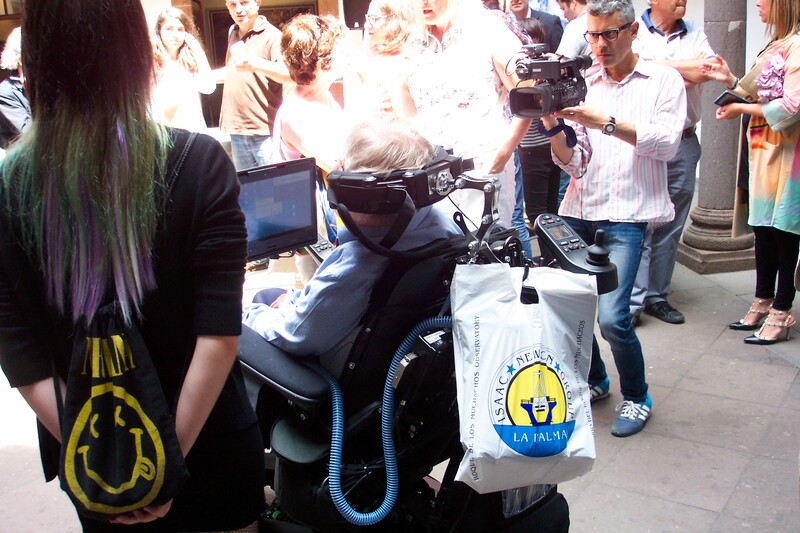 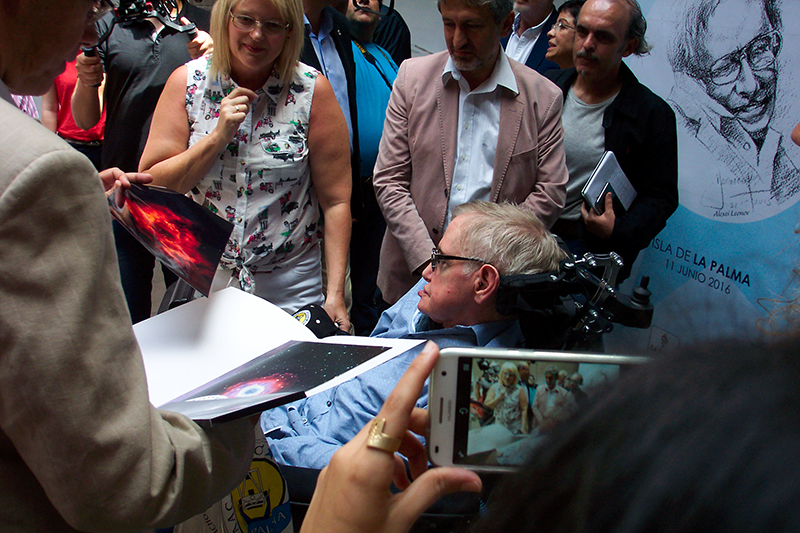 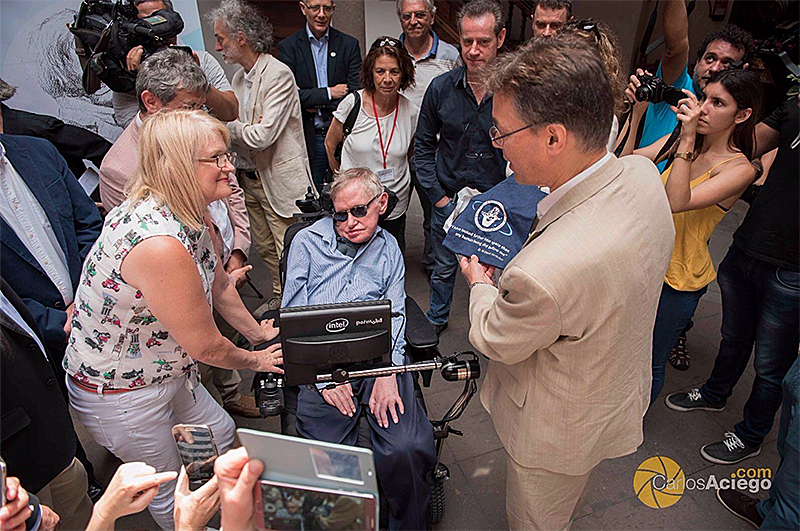 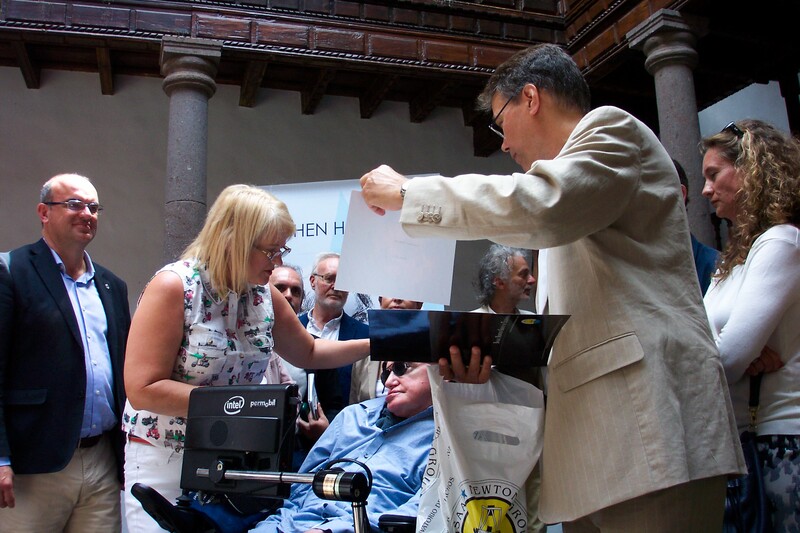 Professor Hawking continued his trip to the island of Tenerife where he was distinguished as IAC Honorary Professor, and a tribute was made to his work as a researcher and outreach disseminator at the Starmus Festival. 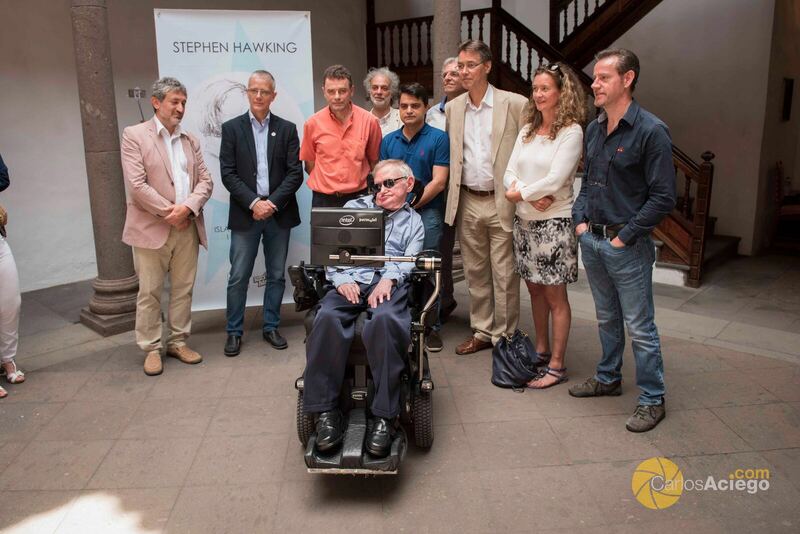 The photos were taken by Carlos Aciego, Esther Medina and Javier Méndez.